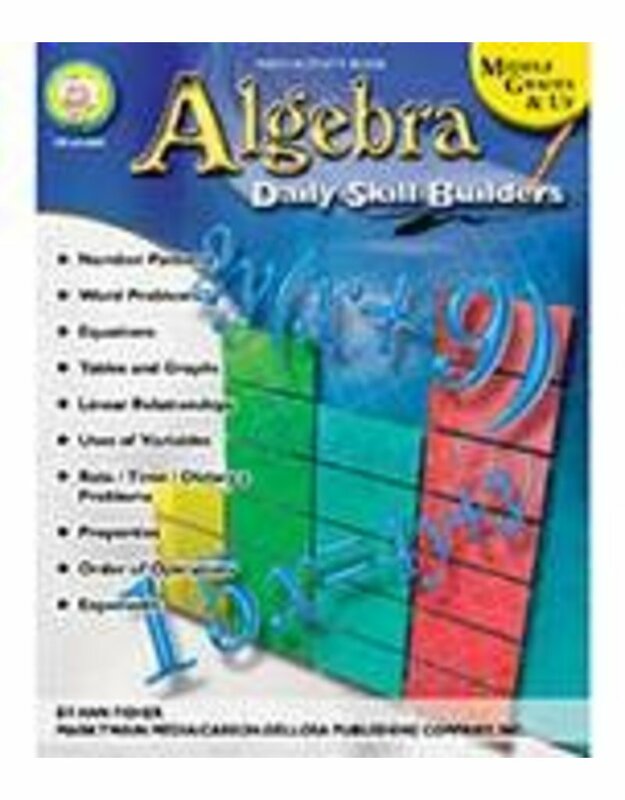 Make math matter to students in grades 6 and up using Algebra: Daily Skill Builders! This 96-page book features two short, reproducible activities per page and includes enough lessons for an entire school year. It covers topics such as number patterns, word problems, equations, tables, graphs, linear relationships, variables, contextualized problems, properties, order of operations, and exponents. Activities become more challenging as students build upon what they have learned. The book is perfect for review and practice and supports NCTM and Common Core State Standards.